If you have been to Northern Wisconsin, you probably know about a local entree called “Pizza Fries,” “Cheese Fries,” or “Italian Fries.” It’s kind of like a cheese pizza without the marinara sauce, but hard to describe. 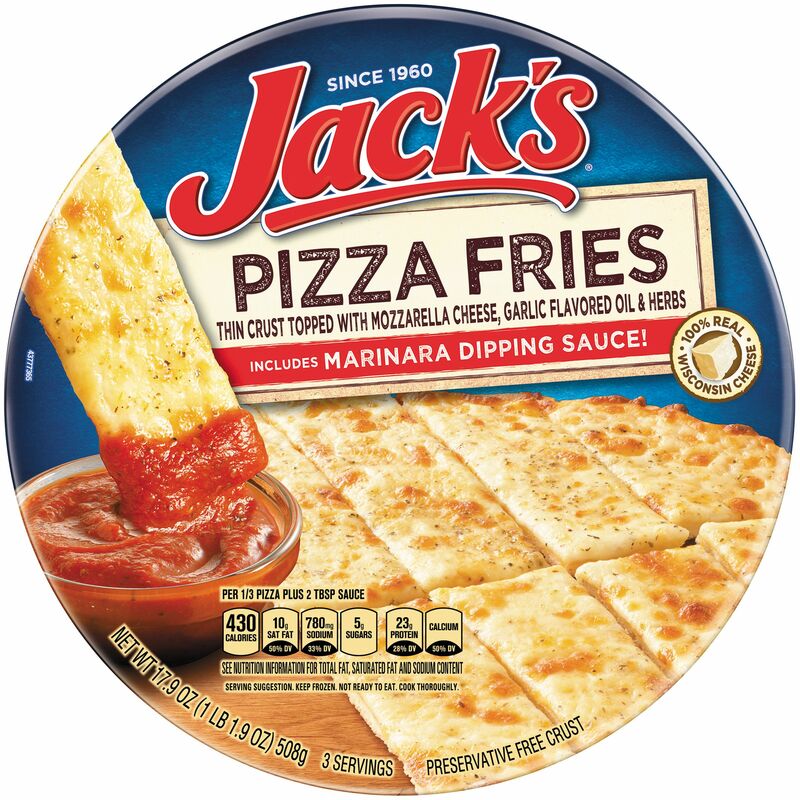 Typically, people cut the pizza fries into long 1″ wide strips, and dip them in marinara or other sauces. Homemade Wisconsin Style Cheese Fries! I know this is not one of my typical technology posts. I have traveled all across North America, and apparently, no one has every heard of Wisconsin Pizza fries. This is not the kind of thing you can pick up at the typical Los Angeles grocery store. So instead of reading about some architectural programming thing, here’s my recipe for making Italian Fries from scratch. 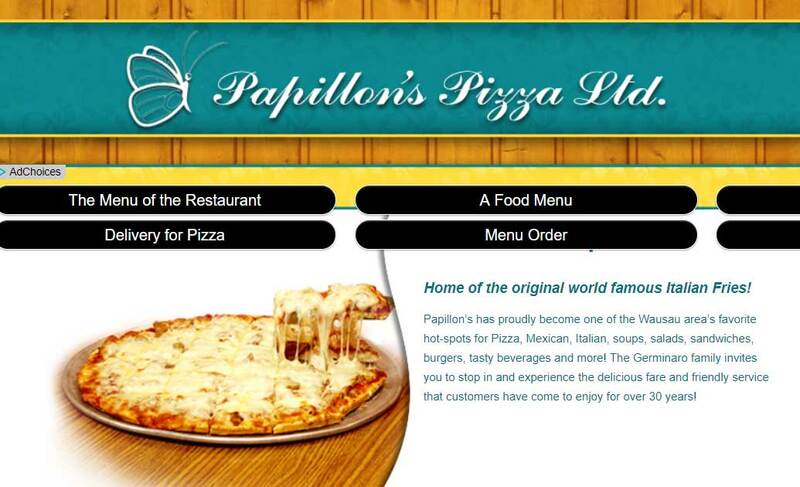 In Wausau, Wisconsin, there are two restaurants that claim to be the inventors of “Italian Fries:” Papillon’s Restaurant and The Wausau Mine Company. I heard there was some kind of dispute between the two places, but both try to take credit for being the first to serve them. While Papillons asserts: “Home of the original world famous Italian Fries! Pizza Fries are taking over the Midwester freezer section at the grocery store. Image: Jack’s Pizza. Regardless on who started what, Pizza Fries have become a common entree of Northern Wisconsin. Some frozen pizza companies have added the entree to their repertoire. Companies like Orv’s, Jack’s, and others sell cheese fries right next to their deluxe and pepperoni pizzas. However, while these are commonly found at the typical northwoods County Market or IGA, frozen Pizza Fries are nowhere to be found outside the Badger State. That is, unless you are in the Canadian Northeast. Turns out the Canucks have their own similar entree called Garlic Fingers. And it appears our neighbors to the north have raided Wikipedia and attempted to revise history to make it seem like they discovered it first. News flash: This ain’t hockey; It’s cheese on dough, and that’s what Wisconsin does best. Aside from the bars of Northern Wisconsin and Nova Scotia, I’ve never seen anything remotely like “Pizza Fries” on any menu or cookbook from Prudhoe Bay to Miami. And I’ve been everywhere. This recipe focuses on a version closest to the thin-crust Pizza Fries that is often found in a frozen food section, and not like the Papillon or Mine Company style ones. Frankly, the restaurant ones are outrageously cheesy. No joke. I’d wager they are about a half-inch thick of cheese. Ain’t no one got time for that. So, I’m focusing on a reasonable (remember, I’m a Wisconsinite, and what you might consider reasonable is likely way too much) quantity of cheese. 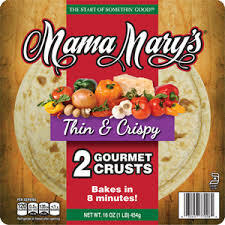 While homemade sauce and crust is the best, to simplify the process for this recipe, I’m going to recommend you pick up a few of my favorite brands: a jar of Classico “Spicy Tomato Basil” and a pre-made thin-crust by Mama Mary’s. Mama Mary’s crusts are already perfectly thin and they suit the proportions of cheese to crust quite well. However, if you want the best homemade pizza crust recipe, I encourage you to buy Erika Reber’s cookbook “From Reichert’s with Love,” which on page 48, contains a delicious recipe by Jeanne Reber. Preheat your oven to 375-400 degree F.
Mince the garlic as finely as possible. In a small sauce pan over low heat, place the butter and minced garlic. Cook for a three minutes so that the garlic and butter meld. Do not cook the butter so long that it turns brown. Place the pizza fries on a pizza pan or stone. 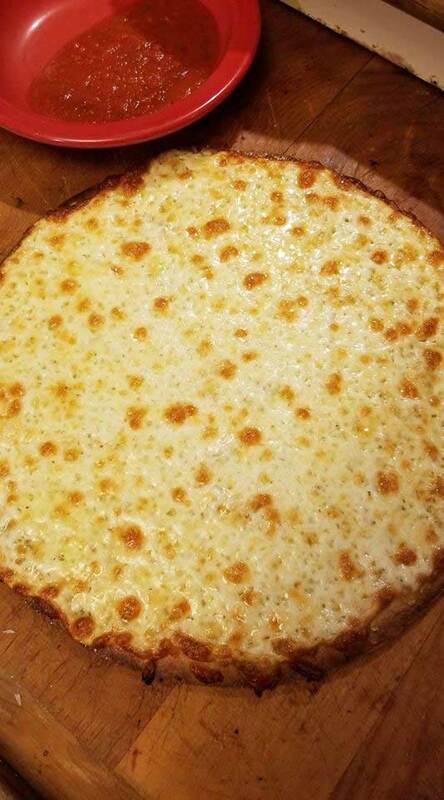 If you are using a pizza pan with holes, place tin foil on the bottom of the oven, just in case butter or cheese melts off of pizza crust and drips through the holes. Slide the pizza in the oven and bake for approximately ten minutes. Check often, because the thin pizza and cheese can burn easily depending on your oven. It should look like the picture above when finished. Pull the pizza fries from the oven, and sprinkle the top with parsley, basil, and oregano. Cut into long strips about an inch wide. Pour marinara sauce into cups for dipping. This is supposed to serve four people, but GOOD LUCK. I’ve been known to wolf down a whole pizza fries without a moments hesitation or ounce of regret. I can’t even begin to wonder how many calories this is, but who cares. It’s delicious as hell. That’s pretty much it. All you need is high-quality cheese, basic herbs, and some thin crust, and you can experience the gluttonous explosion that is the Wisconsin Pizza Fry! Enjoy! 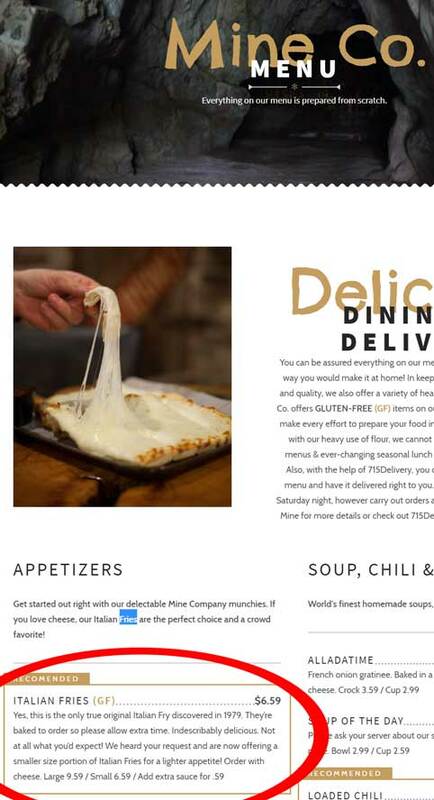 If anyone has any things to say, like about the Papillon-Mine Company feud, or better ways to prepare Wisconsin Pizza Fries, or if you live in an area with a similar entree (If you mention “Cheesy Bread” you will be banned! ), please leave a comment below. I’d love to hear from you.